$1.75 - $3.50 Per Sq. Ft. NNN / Mo. 1,160 - 1,170 Sq. Ft.
$0.58 per Sq. Ft. / Mo. 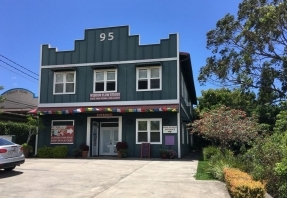 Perfect opportunity to lease an upstairs office space in Makawao. This unit has its own private restroom, large windows, and a reception area. Downstairs is a brand new equipped commercial kitchen with a hood, grease trap, oven, three-compartment sink, etc. Units can be combined or leased separately.